To book courts and classes log in to your Members Area. With a 30 year tennis heritage, it’s no wonder we’re so passionate about our racquets sports here at David Lloyd Clubs. With our first rate accredited coaching team and amazing courts we’ve got everything you need to improve your game. Whether you’re an experienced player or have never picked up a racquet we will help you learn everything you need to know, all whilst having fun. Have some serious fun on court and take your tennis to a whole new level. Available at selected clubs, Playsight smart court has been developed to enhance your tennis experience, whether that’s to help with coaching, to provide real-time scoring and match stats, or simply to revisit those epic points, stunning winners and comedy moments. Watch the video to learn more. If they’re old enough to hold a racquet then they’re going to love getting involved with our junior tennis programme. Our expert coaches will teach them all the basics and work on getting their tennis skills perfected! It’s great for building balance, confidence and co-ordination skills, not only that, it’s a great chance to meet new people and make new friends in the club too. 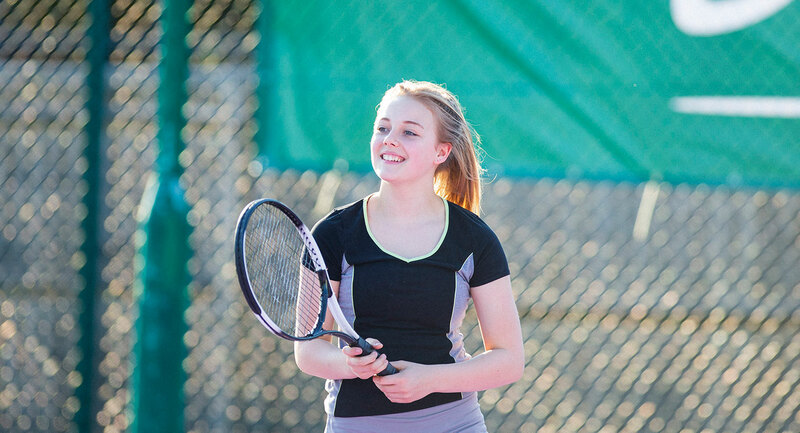 Tennis is where it all started for David Lloyd Clubs, so naturally, we’ve got quite a lot to offer. Our facilities are second to none, with ten indoor tennis courts and five outdoor courts, you can play whatever the weather. If you want to perfect your serve or work on your back hand, our coaches will be able to help, whatever your age, whatever your experience, we have something for everyone. The fun isn’t just on the court, we have a vibrant tennis community, with social events, competitions and weekly games. It’s a great way to not only find new people to play, but to meet new people in the club and make friends. It’s not all about the tennis, we also love a fast paced game of squash. If you’ve got quick reflexes and enjoy some healthy competition, than squash is the game for you. It will improve your strength, speed and reaction time. We have almost 150 fantastic courts across the UK and expert coaches who’ll help you understand the game, improve your skills, and boost your confidence. Whether you’re looking for a bit of fun or a more competitive game we have something for you. We believe there is nothing wrong with a bit of healthy competition, so if you like to play for prizes, we can nurture your competitive side with leagues, ladders and tournaments played both locally and nationally. © Copyright 2019 David Lloyd Leisure Ltd.